One Ocean Expeditions are delighted to announce that there has been a ‘find’ on the Victoria Strait Expedition taking place in the Northwest Passage in Canada over the last two weeks. The company’s ship, Akademik Sergey Vavilov was one of four vessels supporting the search to find the long lost vessels of Sir John Franklin missing in the Arctic for the last 160 years. An official announcement, made by the Prime Minister’s office in Ottawa on 9 September 2014, stated that one of the two missing ships – Terror and Erebus – has been found. Currently it is unclear which of the two ships has been found, however there is photographic evidence that it is one of them. ”Finding the first vessel will no doubt provide the momentum – or wind in our sails – necessary to locate its sister ship and find out even more about what happened to the Franklin Expedition’s crew”. 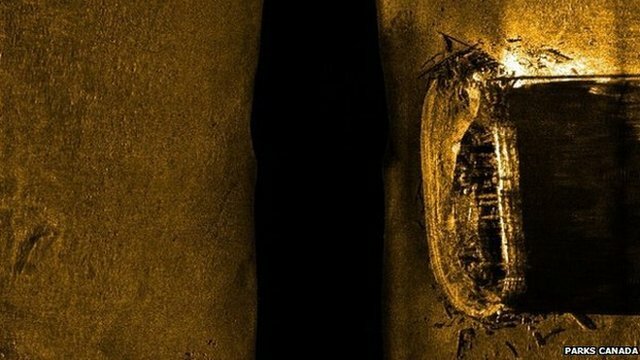 British archaeologist, William Battersby, who has written extensively about Franklin’s Expedition, describes the find as “the biggest archaeological discovery the world has seen since the opening of Tutankhamun’s tomb almost 100 years ago”. The Northwest Passage itinerary has always been a bestseller for One Ocean Expeditions. With the recent find, there will undoubtedly be an increase in consumer awareness and interest in the region. Australian Manager for One Ocean Expeditions, Richard Cunningham added, "This is great day in Canada's history and significant moment for our company. Our 2015 Canadian Arctic program features four voyages and several will visit the actual location where the ship was found in the Victoria Strait. Scientists and historians who were part of this year's search team, will be aboard our ship, providing a wonderful insight into this astonishing discovery. Already our phones have been busy with enquiries from agents in Canada and around the world looking to secure berths for 2015", he added.